We can crochet so we can decorate our space and everyday life. We have free video tutorial where you can learn how to crochet little and cute butterflies and use them as you want. You can add as appliques on your clothes and accessories. Also you can add these cute butterflies on your daughters school bag or on clothing and make her happy. 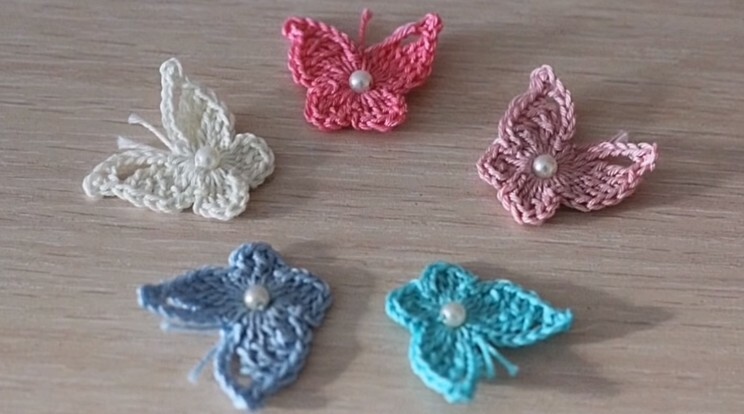 Crocheting these tiny butterflies is easy and don’t needs many supplies and yarn. Find some free time and crochet as many as you want. Good luck and thanks to author for high quality tutorial and beautiful design.